ODM-201 (also known as BAY-1841788) is a non-steroidal antiandrogen, specifically, a full and high-affinity antagonist of the androgen receptor (AR), that is under development by Orion and Bayer HealthCare for the treatment of advanced, castration-resistant prostate cancer (CRPC). Relative to enzalutamide (MDV3100 or Xtandi) and apalutamide (ARN-509), two other recent non-steroidal antiandrogens, ODM-201 shows some advantages. ODM-201 appears to negligibly cross the blood-brain-barrier. This is beneficial due to the reduced risk of seizures and other central side effects from off-target GABAA receptor inhibition that tends to occur in non-steroidal antiandrogens that are structurally similar to enzalutamide. Moreover, in accordance with its lack of central penetration, ODM-201 does not seem to increase testosterone levels in mice or humans, unlike other non-steroidal antiandrogens. Another advantage is that ODM-201 has been found to block the activity of all tested/well-known mutant ARs in prostate cancer, including the recently-identified clinically-relevant F876L mutation that produces resistance to enzalutamide and ARN-509. Finally, ODM-201 shows higher affinity and inhibitory efficacy at the AR (Ki = 11 nM relative to 86 nM for enzalutamide and 93 nM for ARN-509; IC50 = 26 nM relative to 219 nM for enzalutamide and 200 nM for ARN-509) and greater potency/efficaciousness in non-clinical models of prostate cancer. ODM-201 has been studied in phase I and phase II clinical trials and has thus far been found to be effective and well-tolerated, with the most commonly reported side effects including fatigue, nausea, and diarrhea. No seizures have been observed. As of July 2015, ODM-201 is in phase III trials for CRPC. ORM-15341 is the main active metabolite of ODM-201. It, similarly, is a full antagonist of the AR, with an affinity (Ki) of 8 nM and an IC50 of 38 nM. 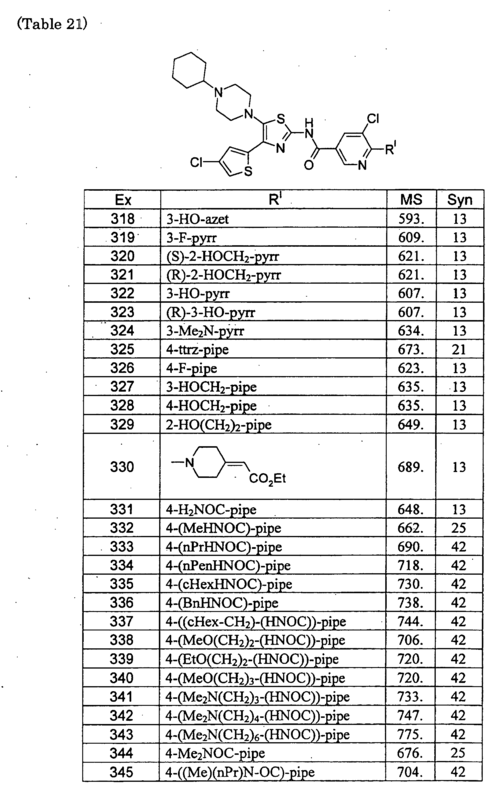 Figure 1: The structures of ODM-201 (A) and its main metabolite ORM-15341 (B). Representative binding affinities of ODM-201, ORM-15341, enzalutamide, and ARN-509 measured in competition with [3H]mibolerone using wtAR isolated from rat ventral prostates (C). All data points are means of quadruplicates ±SEM. Ki values are presented in parentheses. D. Antagonism to wtAR was determined using AR-HEK293 cells treated with ODM-201, ORM-15341, enzalutamide, or ARN-509 together with 0.45 nM testosterone in steroid-depleted medium for 24 hours before luciferase activity measurements. All data points are means of triplicates ±SEM. IC50 values are presented in parentheses. WHIPPANY, N.J., Sept. 16, 2014 /PRNewswire/ — Bayer HealthCare and Orion Corporation, a pharmaceutical company based in Espoo, Finland, have begun to enroll patients in a Phase III trial with ODM-201, an investigational oral androgen receptor inhibitor in clinical development. The study, called ARAMIS, evaluates ODM-201 in men with castration-resistant prostate cancer who have rising Prostate Specific Antigen (PSA) levels and no detectable metastases. The trial is designed to determine the effects of the treatment on metastasis-free survival (MFS). Earlier this year, Bayer and Orion entered into a global agreement under which the companies will jointly develop ODM-201, with Bayer contributing a major share of the costs of future development. 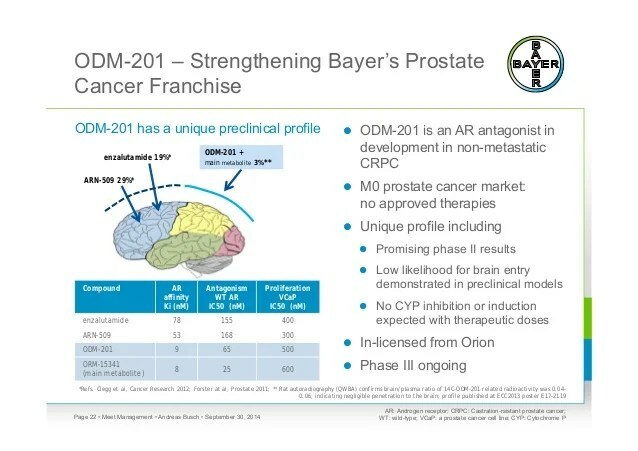 Bayer will commercialize ODM-201 globally, and Orion has the option to co-promote ODM-201 in Europe. Orion will be responsible for the manufacturing of the product. The ARAMIS trial is a randomized, Phase III, multicenter, double-blind, placebo-controlled trial evaluating the safety and efficacy of oral ODM-201 in patients with non-metastatic CRPC who are at high risk for developing metastatic disease. About 1,500 patients are planned to be randomized in a 2:1 ratio to receive 600 mg of ODM-201 twice a day or matching placebo. Randomisation will be stratified by PSA doubling time (PSADT less than or equal to 6 months vs. > 6 months) and use of osteoclast-targeted therapy (yes vs. no). ODM-201 is an investigational androgen receptor (AR) inhibitor that is thought to block the growth of prostate cancer cells. ODM-201 binds to the AR and inhibits receptor function by blocking its cellular function. Bayer is committed to science for a better life by advancing a portfolio of innovative treatments. The oncology franchise at Bayer now includes three oncology products and several other compounds in various stages of clinical development. Together, these products reflect the company’s approach to research, which prioritizes targets and pathways with the potential to impact the way that cancer is treated. Bayer HealthCare Pharmaceuticals Inc. is the U.S.-based pharmaceuticals business of Bayer HealthCare LLC, a subsidiary of Bayer AG. Bayer HealthCare is one of the world’s leading, innovative companies in the healthcare and medical products industry, and combines the activities of the Animal Health, Consumer Care, Medical Care, and Pharmaceuticals divisions. As a specialty pharmaceutical company, Bayer HealthCare provides products for General Medicine, Hematology, Neurology, Oncology and Women’s Healthcare. The company’s aim is to discover and manufacture products that will improve human health worldwide by diagnosing, preventing and treating diseases. 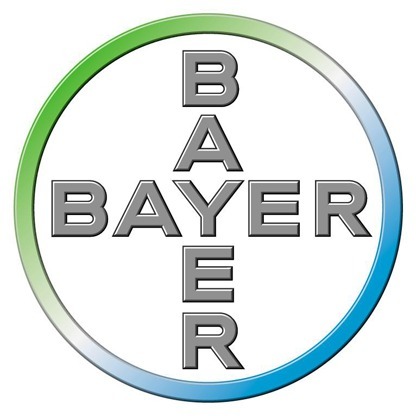 Bayer® and the Bayer Cross® are registered trademarks of Bayer. 1 “Discovery of ODM-201, a new-generation androgen receptor inhibitor targeting resistance mechanisms to androgen signaling-directed prostate cancer therapies.”. Sci Rep 5: 12007. 2015. doi:10.1038/srep12007. PMC 4490394. PMID 26137992. 2 Fizazi K, Albiges L, Loriot Y, Massard C (2015). “ODM-201: a new-generation androgen receptor inhibitor in castration-resistant prostate cancer”. Expert Rev Anticancer Ther 15 (9): 1007–17. doi:10.1586/14737140.2015.1081566. PMID 26313416. 3 Moilanen AM, Riikonen R, Oksala R, Ravanti L, Aho E, Wohlfahrt G, Nykänen PS, Törmäkangas OP, Palvimo JJ, Kallio PJ (2015). “Discovery of ODM-201, a new-generation androgen receptor inhibitor targeting resistance mechanisms to androgen signaling-directed prostate cancer therapies”. Sci Rep 5: 12007. doi:10.1038/srep12007. PMC 4490394. PMID 26137992. 4 “ODM-201 is safe and active in metastatic castration-resistant prostate cancer”. Cancer Discov 4 (9): OF10. 2014. doi:10.1158/2159-8290.CD-RW2014-150. PMID 25185192. 5 Pinto Á (2014). “Beyond abiraterone: new hormonal therapies for metastatic castration-resistant prostate cancer”. Cancer Biol. Ther. 15 (2): 149–55. doi:10.4161/cbt.26724. PMC 3928129. PMID 24100689. 6 Fizazi K, Massard C, Bono P, Jones R, Kataja V, James N, Garcia JA, Protheroe A, Tammela TL, Elliott T, Mattila L, Aspegren J, Vuorela A, Langmuir P, Mustonen M (2014). “Activity and safety of ODM-201 in patients with progressive metastatic castration-resistant prostate cancer (ARADES): an open-label phase 1 dose-escalation and randomised phase 2 dose expansion trial”. Lancet Oncol. 15 (9): 975–85. doi:10.1016/S1470-2045(14)70240-2. PMID 24974051. 7 Agarwal N, Di Lorenzo G, Sonpavde G, Bellmunt J (2014). “New agents for prostate cancer”. Ann. Oncol. 25 (9): 1700–9. doi:10.1093/annonc/mdu038. PMID 24658665. Fenner A. Prostate cancer: ODM-201 tablets complete phase I. Nat Rev Urol. 2015 Dec;12(12):654. doi: 10.1038/nrurol.2015.268. Epub 2015 Nov 3. PubMed PMID: 26526759. 2: Massard C, Penttinen HM, Vjaters E, Bono P, Lietuvietis V, Tammela TL, Vuorela A, Nykänen P, Pohjanjousi P, Snapir A, Fizazi K. Pharmacokinetics, Antitumor Activity, and Safety of ODM-201 in Patients with Chemotherapy-naive Metastatic Castration-resistant Prostate Cancer: An Open-label Phase 1 Study. Eur Urol. 2015 Oct 10. pii: S0302-2838(15)00964-1. doi: 10.1016/j.eururo.2015.09.046. [Epub ahead of print] PubMed PMID: 26463318. 3: Fizazi K, Albiges L, Loriot Y, Massard C. ODM-201: a new-generation androgen receptor inhibitor in castration-resistant prostate cancer. Expert Rev Anticancer Ther. 2015;15(9):1007-17. doi: 10.1586/14737140.2015.1081566. PubMed PMID: 26313416; PubMed Central PMCID: PMC4673554. 4: Bambury RM, Rathkopf DE. Novel and next-generation androgen receptor-directed therapies for prostate cancer: Beyond abiraterone and enzalutamide. Urol Oncol. 2015 Jul 7. pii: S1078-1439(15)00269-0. doi: 10.1016/j.urolonc.2015.05.025. [Epub ahead of print] Review. PubMed PMID: 26162486. 5: Moilanen AM, Riikonen R, Oksala R, Ravanti L, Aho E, Wohlfahrt G, Nykänen PS, Törmäkangas OP, Palvimo JJ, Kallio PJ. Discovery of ODM-201, a new-generation androgen receptor inhibitor targeting resistance mechanisms to androgen signaling-directed prostate cancer therapies. Sci Rep. 2015 Jul 3;5:12007. doi: 10.1038/srep12007. PubMed PMID: 26137992; PubMed Central PMCID: PMC4490394. 6: Thibault C, Massard C. [New therapies in metastatic castration resistant prostate cancer]. Bull Cancer. 2015 Jun;102(6):501-8. doi: 10.1016/j.bulcan.2015.04.016. Epub 2015 May 26. Review. French. PubMed PMID: 26022286. 7: Bjartell A. Re: activity and safety of ODM-201 in patients with progressive metastatic castration-resistant prostate cancer (ARADES): an open-label phase 1 dose-escalation and randomised phase 2 dose expansion trial. Eur Urol. 2015 Feb;67(2):348-9. doi: 10.1016/j.eururo.2014.11.019. PubMed PMID: 25760250. 8: De Maeseneer DJ, Van Praet C, Lumen N, Rottey S. Battling resistance mechanisms in antihormonal prostate cancer treatment: Novel agents and combinations. Urol Oncol. 2015 Jul;33(7):310-21. doi: 10.1016/j.urolonc.2015.01.008. Epub 2015 Feb 21. Review. PubMed PMID: 25708954. 9: Boegemann M, Schrader AJ, Krabbe LM, Herrmann E. Present, Emerging and Possible Future Biomarkers in Castration Resistant Prostate Cancer (CRPC). Curr Cancer Drug Targets. 2015;15(3):243-55. PubMed PMID: 25654638. 10: ODM-201 is safe and active in metastatic castration-resistant prostate cancer. Cancer Discov. 2014 Sep;4(9):OF10. doi: 10.1158/2159-8290.CD-RW2014-150. Epub 2014 Jul 9. PubMed PMID: 25185192. 11: Fizazi K, Massard C, Bono P, Jones R, Kataja V, James N, Garcia JA, Protheroe A, Tammela TL, Elliott T, Mattila L, Aspegren J, Vuorela A, Langmuir P, Mustonen M; ARADES study group. Activity and safety of ODM-201 in patients with progressive metastatic castration-resistant prostate cancer (ARADES): an open-label phase 1 dose-escalation and randomised phase 2 dose expansion trial. Lancet Oncol. 2014 Aug;15(9):975-85. doi: 10.1016/S1470-2045(14)70240-2. Epub 2014 Jun 25. PubMed PMID: 24974051. 12: Agarwal N, Di Lorenzo G, Sonpavde G, Bellmunt J. New agents for prostate cancer. Ann Oncol. 2014 Sep;25(9):1700-9. doi: 10.1093/annonc/mdu038. Epub 2014 Mar 20. Review. PubMed PMID: 24658665. 13: Pinto Á. Beyond abiraterone: new hormonal therapies for metastatic castration-resistant prostate cancer. Cancer Biol Ther. 2014 Feb;15(2):149-55. doi: 10.4161/cbt.26724. Epub 2013 Nov 1. Review. PubMed PMID: 24100689; PubMed Central PMCID: PMC3928129. 14: Yin L, Hu Q, Hartmann RW. Recent progress in pharmaceutical therapies for castration-resistant prostate cancer. Int J Mol Sci. 2013 Jul 4;14(7):13958-78. doi: 10.3390/ijms140713958. Review. PubMed PMID: 23880851; PubMed Central PMCID: PMC3742227. 15: Leibowitz-Amit R, Joshua AM. Targeting the androgen receptor in the management of castration-resistant prostate cancer: rationale, progress, and future directions. Curr Oncol. 2012 Dec;19(Suppl 3):S22-31. doi: 10.3747/co.19.1281. PubMed PMID: 23355790; PubMed Central PMCID: PMC3553559. By DR ANTHONY MELVIN CRASTO Ph.D in cancer, Phase3 drugs on March 12, 2016 .